That is how they work and I will want one added to both sides. I will send a pair with my glove box. Placed my order for the G1 dash, check and leather samples are ready to go out. Will be black/gray to match my Mr. Mike's seats and lower door skins/map pockets. Please build new interior door panels. I think Rob will consider this if there are enough requests. I'm not sure he has had them at this point. I know TXOPIE has relentlessly requested the same and his pictures are a nice addition. He had a lot of pictures of the door panels with the tweeks but it looks like they were removed. I too would like new door panels to go with this awesome dash Rob has put together. Let's just hope there are enough requests so he can add them to his inventory. Yellowstone, troyboy...help increase the door panel requests please. If there are any other specific photos...let me know. I re-organized my photobucket into sub-folders and it killed a bunch of links...sorry. I think Rob will consider this if there are enough requests. Plain & simple guys...the G1 dash is and will remain a loss/loser for me until enough of you guys, 10 or so, step up to the plate and buy one. I cannot dig myself a deeper hole for door panels until I'm first squared away with the dash. Thanks to a couple of you guys for stepping up to the plate. Respectfully understand...we did not know how many people had ordered already. I plan on utilizing another answer for the short run. I believe with enough of us going to the big shows this spring and summer...we will be able to generate enough business to justify the doors. Rob...I would like your permission to create a digital slick that I can post up here for download that will be like a flyer for us who have purchased the G1 dash to hand out at the show when people inquire. I want to ensure that this is worth everyone's time...especially Robs! Rob...I would like your permission to create a digital slick for us who have purchased the G1 dash to hand out at the show when people inquire. I understand as well Rob. As we discussed in PM I'm up to buy a G1 as well but will wait until I return from China as you suggested. I was just trying to drum up the business and interest for you. Thanks. 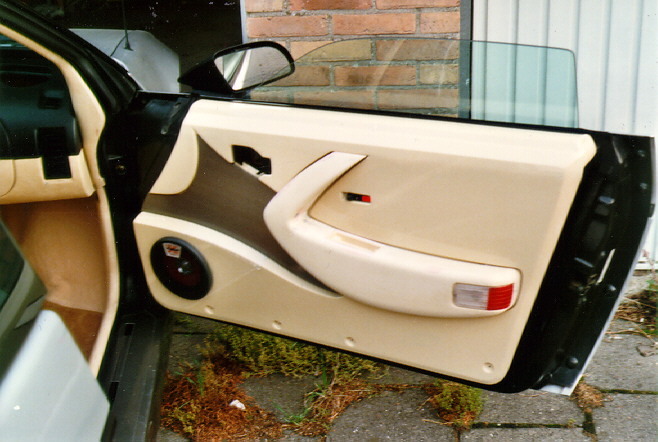 If/when I do door panels it'll be a simple, low cost re-design of the door cards using either stock door handles, or a cheap/compatible alternative. Color samples received. It appears that the light grey on your door panels has a slight tan hue and is a little darker than your seats. I only have on hand dark grey leather and Mr. Mikes medium grey vinyl so I will go to my upholstery supplier to find a match. If I need to I'll get a hold of Mr. Mike for some of his light grey fabric. Thanks. Good that it arrived. 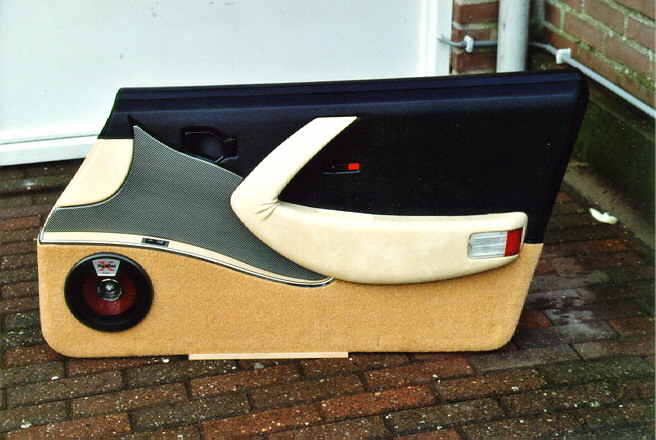 Yes, the door panels were supposed to match the seats but didn't exactly. Go with the door panel color as I may get new seat covers anyways (I really like the semi-sport style). New Fi355 instrument panel test fire. I love the G1 dash, and honestly would own one already, but it doesn't work with my 355 console I have from you already. 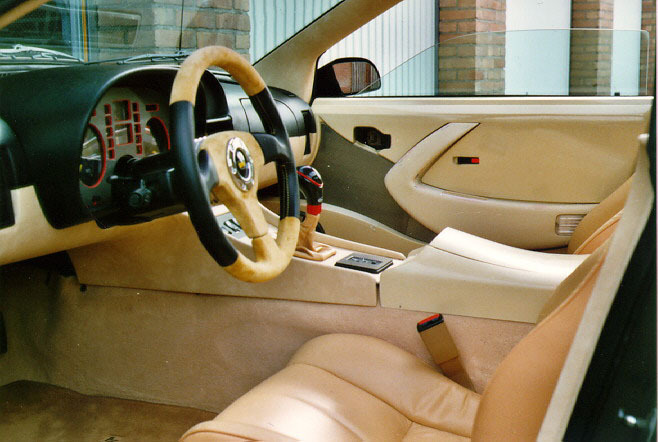 But I would be interested in those door panels, so someone please buy that beautiful dash from amida! Sell the console and get the new G1 dash. Just joking of course, but need 5 more guys to get the dash then I'll do the doors. 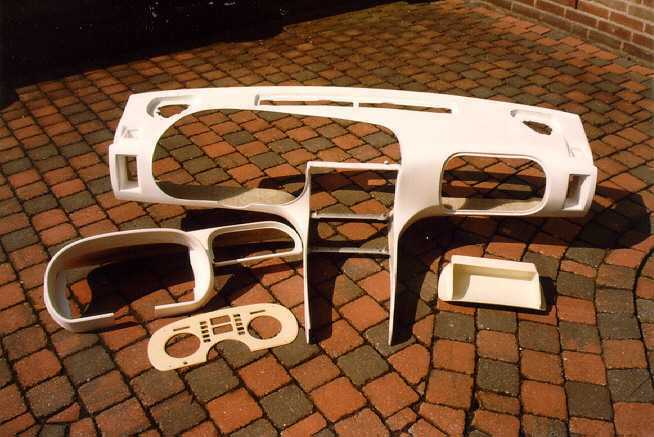 You may have a better chance filling orders on one of the Kit car sites. I visited Kitcentral and that site is nearly dead. Not a whole lot of Lambo kit building anymore. I honestly think once we have a few of our cars hit the shows this spring...that will help with sales! I know that is not the immediate answer everyone including myself would like, but that seems to be the reality. I am working on some product slicks for everyone and anyone to download and share the information. If you belong to a local Fiero club...post it on their website...print one of the slicks and bring it with you to the meeting! Rob...have you consider reaching out to Rodney, TLG, & the Fierostore to see if they would put a mention and link...I have seen them do it for other member products...just a thought. Remember its a numbers game...need to get it in front of as many possible potential buyers as we can...percentage will purchase...the more that see the higher % that purchases. Top is called "Hampton Ebony"
Bottom is called "Grand Prix Black"
Rob >>> "Hampton Ebony" is my choice! 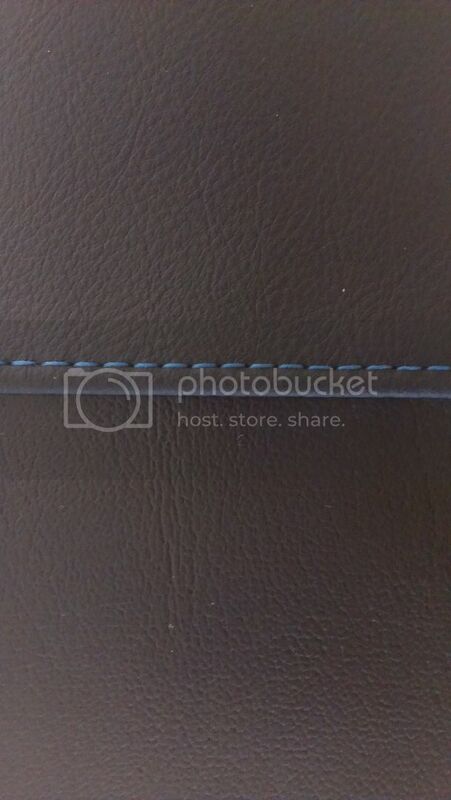 ...like the color blue for the stitching. I will PM you with a tracking number for my stuff headed your way. Lastly, does it have a cup-holder? Haven't even thought about it. Cup-holders would be a nice feature. Wonder where to put them though. 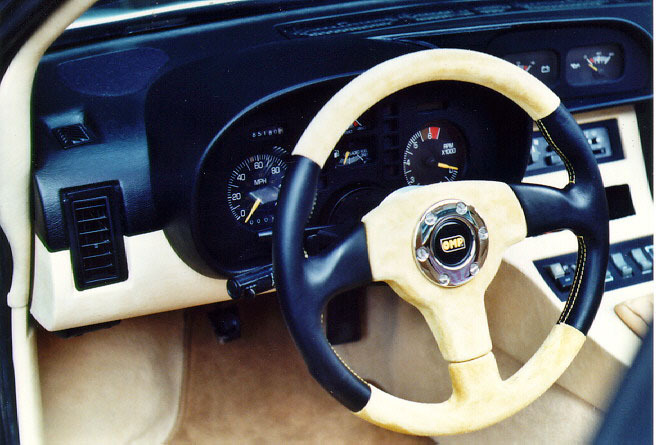 That Is by far the best interior I have ever seen in a fiero!! dam man good job! hopefully I'll have another one someday soon and thats going to be my second mod to the motor. Amida's G1 interior is the closest I've ever seen to the mystery/unobtanium interior I fell in love with 7 years ago. 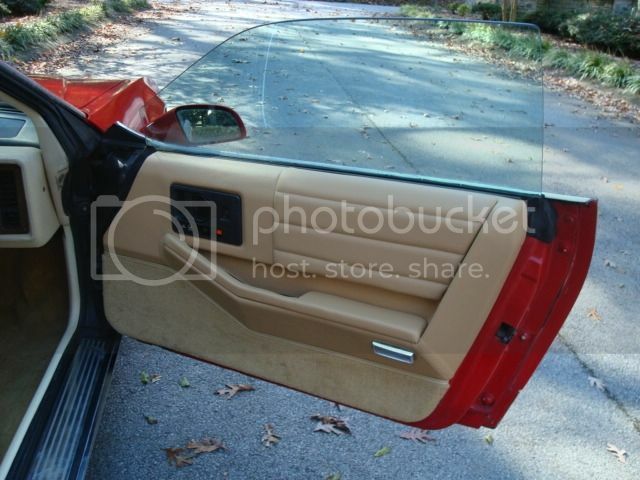 For the people who want door panels as well, would any of these help with inspiration on how to save old parts to keep costs down? Austrian Imports...I too fell in love with the "mystery/unobtanium interior", but I think Rob's blows that one out of the water. 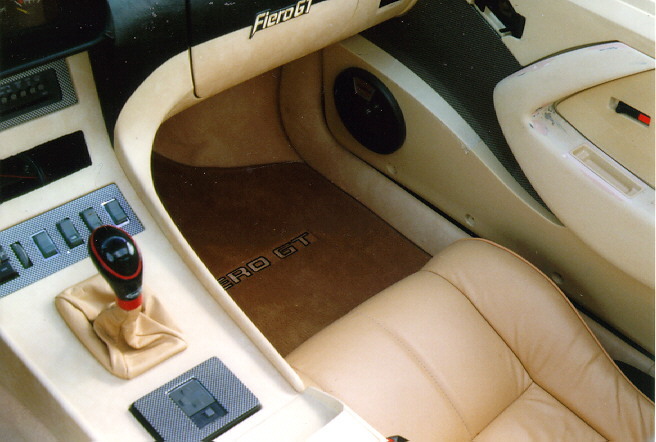 This by far is the best interior ever designed & created for the Fiero to date...period! Someone else argue with me on this fact...show me one other interior excluding Rob's F355 interior (which doesn't really count...since it is Ferrari specific) that matches the level of detail & quality of this dash! I know your not thinking about it just yet. But I vote for 5 1/4" speaker pods in the possible future door panels. Mee, too. At one point, when I was still in Germany, I could have bought a GT that had this dash in it for little money. But the car was located in the Netherlands and didn't look very good otherwise so I passed on it. "Good things come to those who wait!" I agree, but let's do 6 1/2" sizes instead. It's more common/more speaker choices. 6 1/2" would have been better in the G1 dash as well, but wasn't feasible due to size restrictions. Rob....PM sent with tracking number...thanks for everything! Wow your work is totally awesome. You have produced the one item that will update the Fiero to contemporary times. Others have done wonders to the outside of the Fiero to get it to look up to date now the Fiero community has a source for the interior. 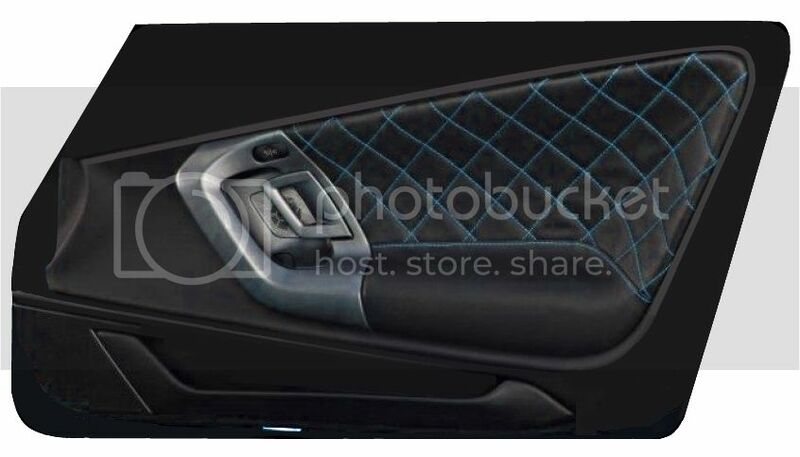 The stitching is something GM is just starting to do and it makes a so so vehicle interior look expensive! 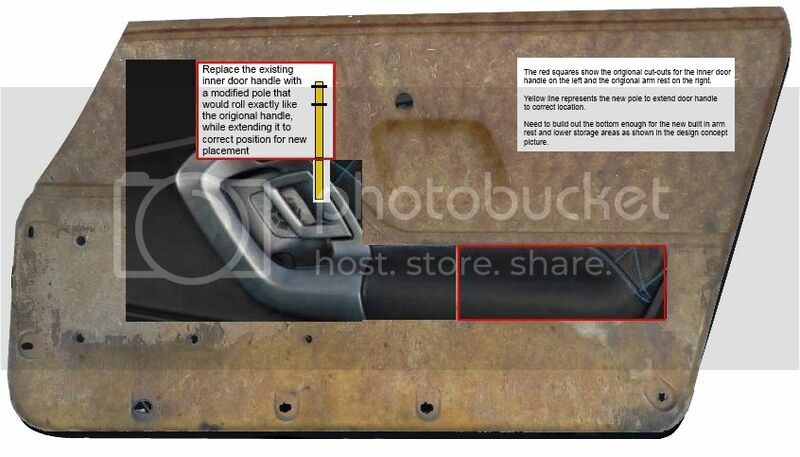 I noticed while reviewing jscott1 build thread (when he put the entire dash & door skins in one of his cars) that cut of the Trans am dash in the corners where they meet the doors are not far off from the G1. Wow, that is a beautiful dash good sir. I have two questions if you don't mind me asking... What is the glove box from and what would the going price of these be with ship.? Probably too rich for my blood but curiosity is a killer ha. Thanks. I can help with that information and let Rob continue working on the dashes ordered already! 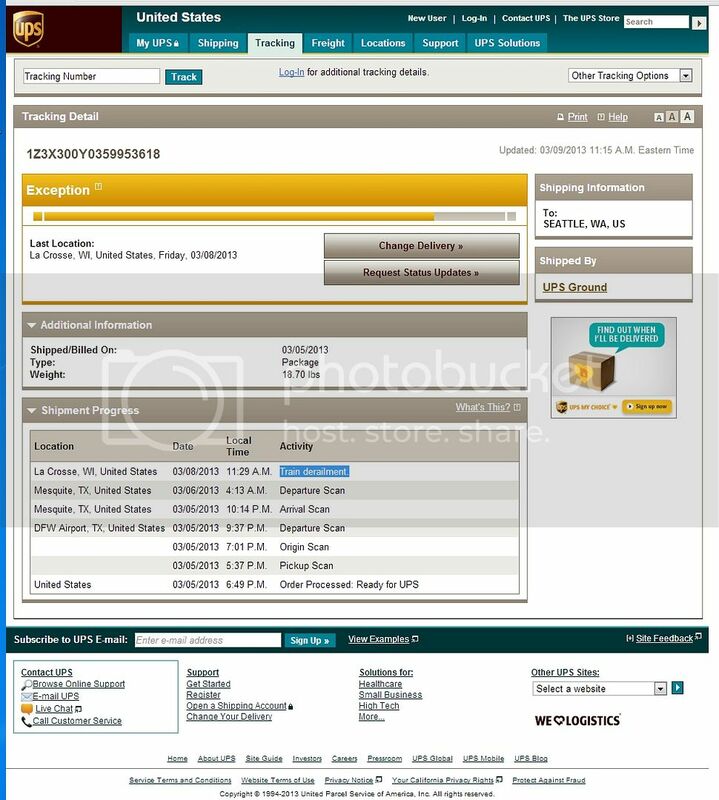 ...was tracking the parts that I sent to Rob (Amida) on UPS.com and read the following scary last status...hope it doesn't mean what I think it means! To get to the state of Washington from Texas it goes through Wisconsin? Hmmm?